Maxilead Metals are Flying High! Home > News > Uncategorized > Maxilead Metals are Flying High! April has seen us take delivery of our new custom built yellow and black Maxilead Metals flying blimp. Flying at over 150 feet above our Manchester site, it can be seen in areas across the North West. Our site is very accessible from the major motorways in and around Manchester. 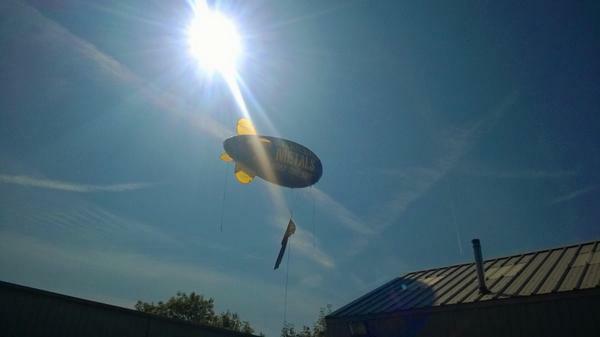 Look out for our blimp in the sky to help you find your way! We would also love to see any pictures you may have of it flying. Please send them to info@maxileadmetals.co.uk.